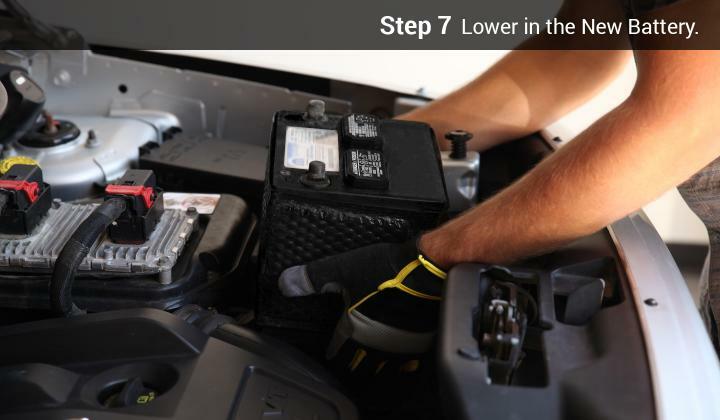 Use proper handling and safety procedures when working with car batteries. Automotive lead-acid batteries contain hydrogen-oxygen gases that can be explosive and cause severe burn injuries. Read Working With Batteries Safely before replacing your car's battery to avoid hurting yourself. 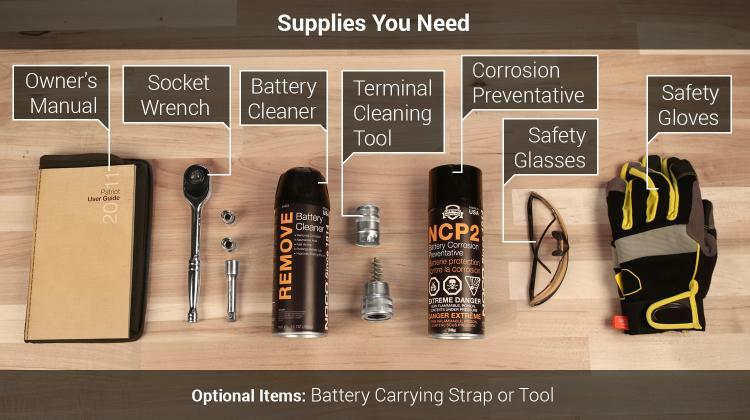 Supplies You'll Need: New Car Battery, Owner's Manual, Wrench and Sockets, Remove Battery Cleaner, Terminal Cleaning Tool, NCP2 Corrosion Preventative, Safety Glasses, and Safety Gloves. 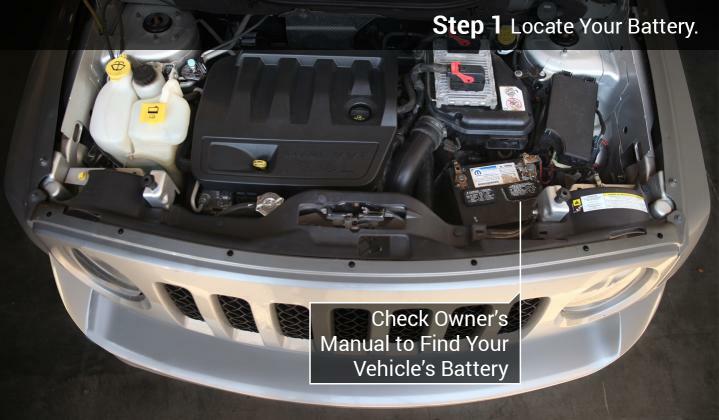 To find your vehicle's battery check your owner's manual. Depending on your vehicle your battery could be located in the trunk, under a floorboard or even hidden away out of sight behind a wheel well. Identify the positive and negative posts and the cables attached to each. The positive post may have a red plastic cover over it or the cable attached to it will be red. There should also be a "+" symbol printed or stamped on the battery near to the positive post. Spray Remove on Battery Terminals. 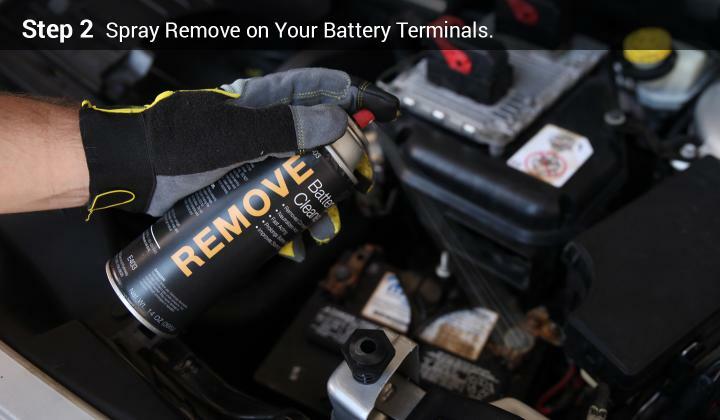 The E403 Remove Battery Cleaner instantly neutralizes, dissolves, and removes battery corrosion from battery terminals, cables, and battery hold-downs. It is formulated to assure maximum current flow and reduce potential voltage leakage. 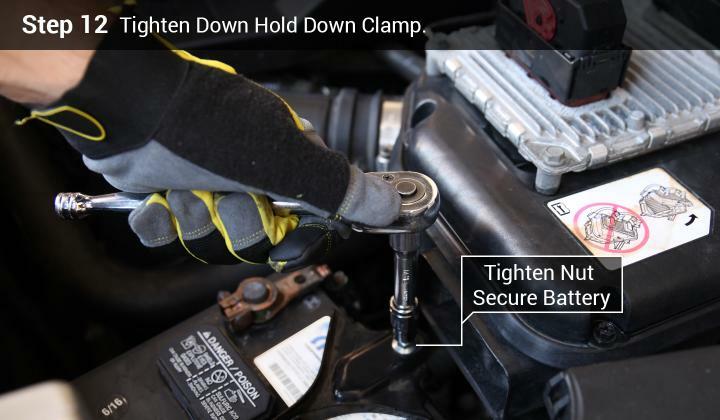 Using a combination wrench or a ratchet wrench, remove the battery hold-down clamp. 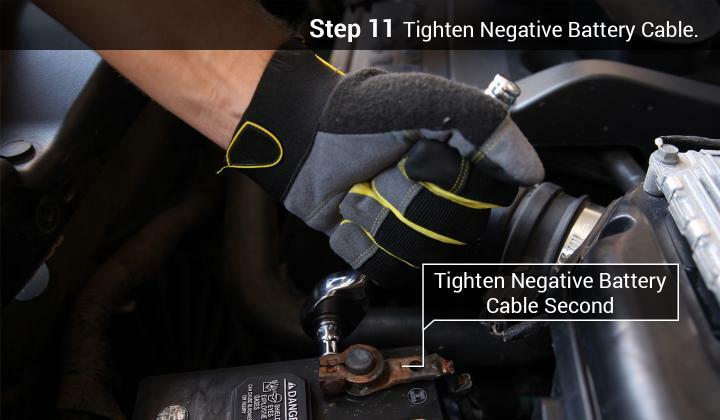 Using a wrench, loosen the nut or bolt that secures the negative battery cable to the negative battery post. 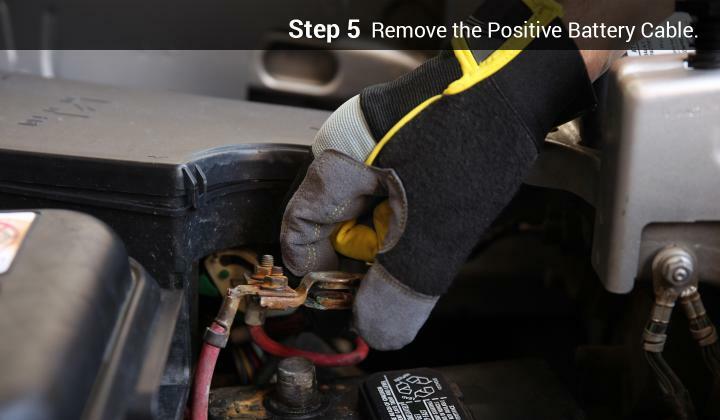 Remove the negative battery cable from the battery terminal post and move it away from the battery. Remove the Positive Battery Cable. 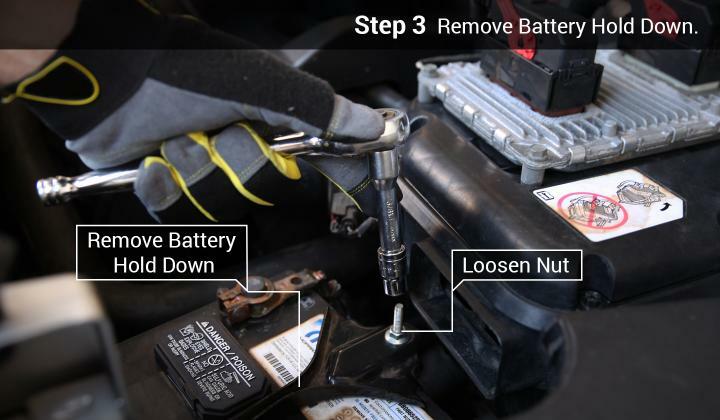 Next, loosen the nut or bolt that secures the positive battery cable to the positive battery post. Remove the positive battery cable from the battery terminal post and move it away from the battery. 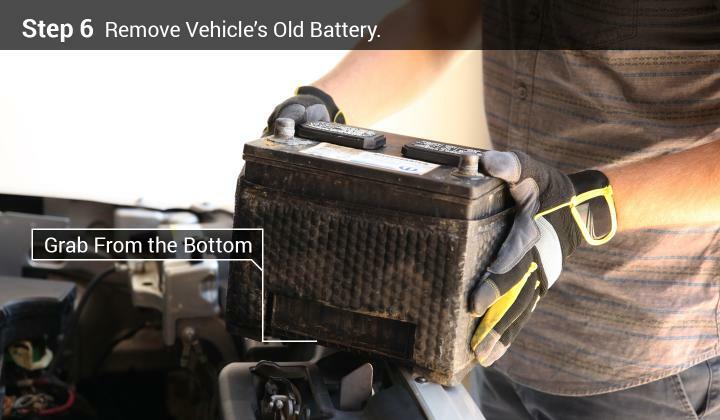 Remove the Vehicle's Old Battery. Take the battery out of the battery tray. Batteries are heavy, make sure to grab the battery from the bottom using both hands. 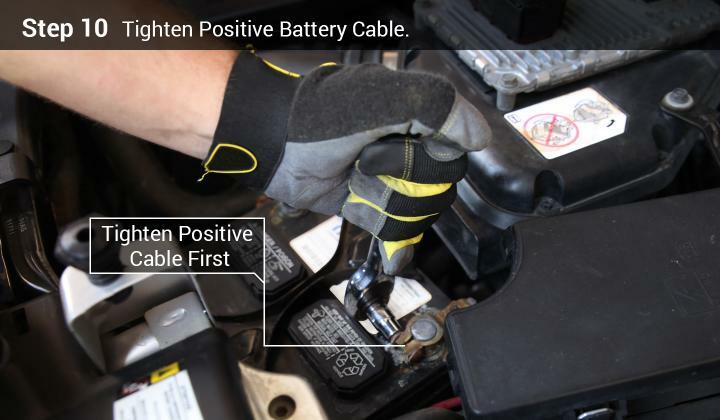 A battery carrying strap can also help you to remove your vehicle's battery especially if you notice that the area around the battery is too narrow to fit your hands. Lower In The New Battery. Position the battery so that the red, positive terminal will match up to your vehicle's positive cable location. 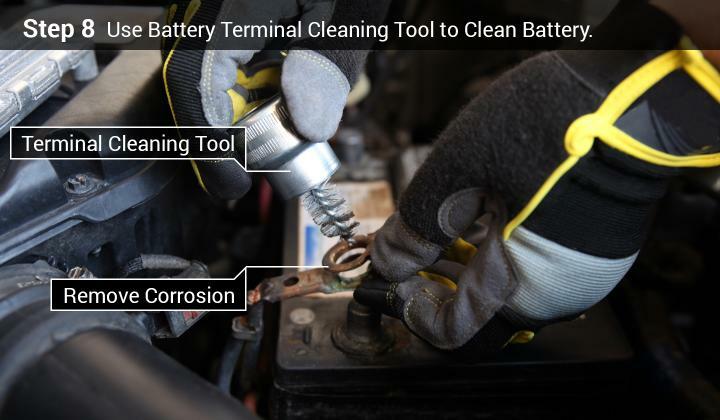 Thoroughly clean any corrosion that might be left behind from your old battery, now is also a good time to clean off corrosion from the battery tray, hold down clamp and battery connectors. 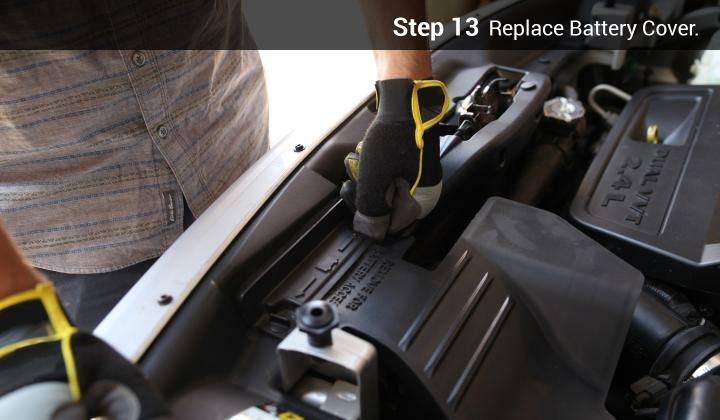 Clean car battery posts and connectors ensure an efficient connection to your battery. Once you have finished clearing away the left over corrosion you are now ready to replace your vehicle's battery. Use NOCO's NCP2 corrosion preventative to make the terminal surfaces of your battery impenetrable to corrosion for the life of your battery. 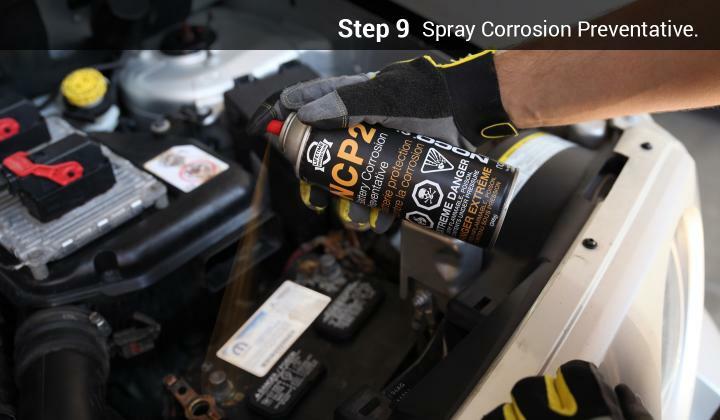 NCP2's long lasting oil-based formula does not dry or evaporate and it is also resistant to reversion, moisture, shock and vibration. First reconnect the positive battery cable (Red) and tighten it to the positive battery terminal. Ensure that the battery cable is properly tightened. Next attach and tighten the negative battery cable (Black) to the negative battery terminal post. Ensure that both battery cables are properly tightened. 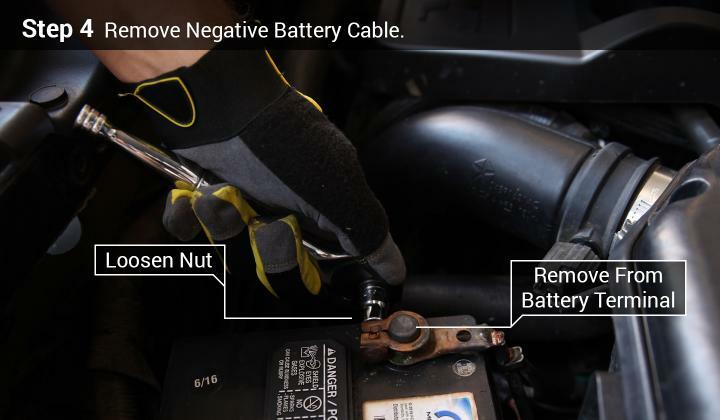 If you can move the battery cable terminals at all, your car may not start due to a weak electrical connection. Secure your battery before trying to start the vehicle, this helps to prevent the battery from moving around while the vehicle is in use.